I met Tlacael and the Sensory Percussion family at SXSW this spring, and it’s been incredible to be part of their journey since then. Their electronic drum technology came to me at a really perfect time as I was looking to transition my skillset from acoustic drumming to electronic music creation, using the drums as my primary instrument. 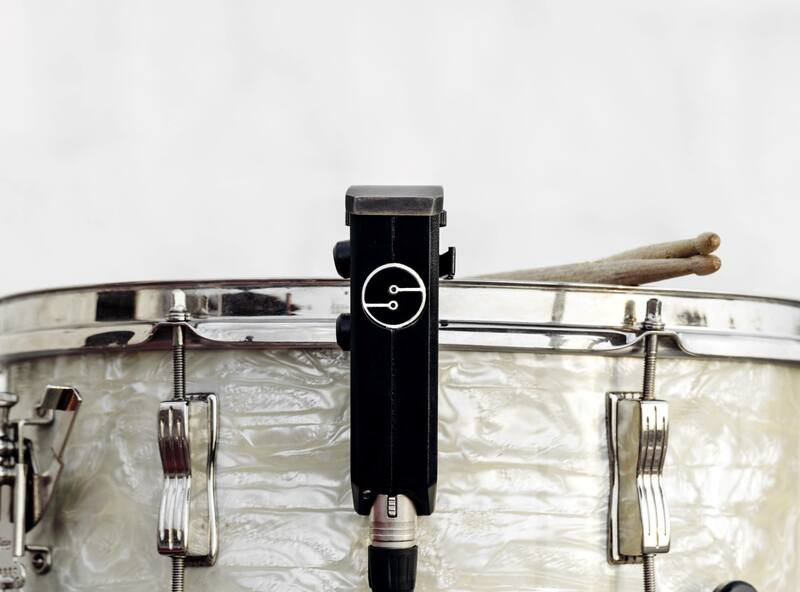 Their sensors attach to each drum on an acoustic drumset, enabling the drummer to map each part of a drum to a different electronic sound and thus be able to play vocals, melodies, percussion, synth…really anything…from an acoustic drumset. You can also control all the drum sounds using the kit itself which has been really mindblowing! In short, you can create electronic sounds using acoustic skins. It’s a total game changer and I wish I had had these on the M.I.A tour! I performed at their launch party and have been helping promote across various articles and by providing content for their kickstarter page. I have used the technology at a few shows now already and can’t wait to see where this all goes, both for my songwriting for Madame Gandhi as well as for the world of drumming.